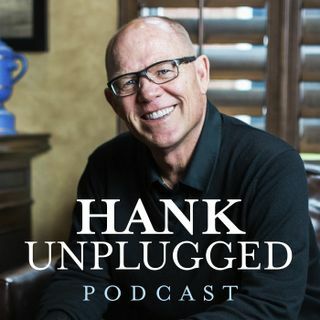 This week, Hank is joined on Hank Unplugged by John Stonestreet, president of the Colson Center for Christian Worldview and cohost of the radio show BreakPoint. This is a truly wide-ranging conversation on the major cultural issues of today and how Christians should handle these uniquely modern issues outlined in Stonestreet’s new book A Practical Guide to Culture: Helping the Next Generation Navigate Today’s World. Topics discussed include: Chuck Colson as a mentor to both (1:30); the false ... See More dichotomy of sacred and secular and the pandemic of churches conforming to the culture (9:00); the importance of authority in the church in accordance with Scripture and the ties to church history (17:00); the distinction between cultural waves and undercurrents outlined in Stonestreet’s book A Practical Guide to Culture (23:30); the problem of perpetual adolescence and a culture that craves staying young forever (30:00); how information has replaced knowledge in our age, the shifting importance of right from wrong to whether we’re nice or mean, and discernment as an antidote (37:00); the transactional nature some churches have taken on as opposed to being transformational (43:30); the influence of materialists like Richard Dawkins on culture and the loss of what it means to be humans made in the Imago Dei (51:30); gender fluidity in contrast to biological reality (56:30); influencing the culture rather than the culture changing us (1:01:00).